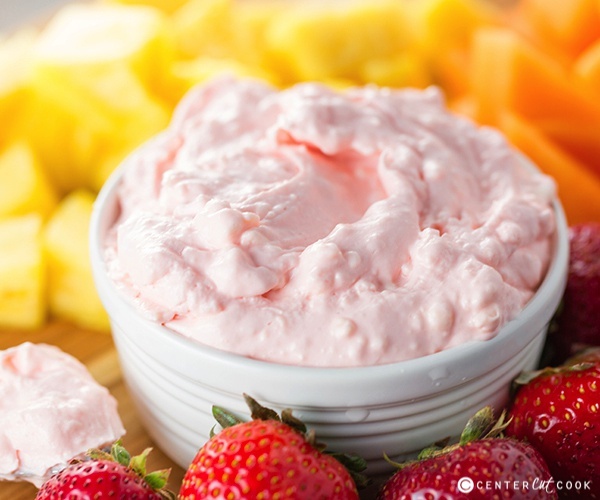 Light and fluffy Fruit Dip that’s easy to make and made with three simple ingredients including cream cheese and marshmallow creme! Perfect with any variety of fruits! This Fruit Dip is such an easy but delicious way to dress up a basic fruit platter or to serve alongside Rainbow Fruit Kabobs. It’s light and fluffy made with cream cheese and marshmallow creme with just the right amount of sweetness! My version of fruit dip is a little different than most of the versions out there because I include two special “secret” ingredients. Because I love you, I’ll fill you in on my two secret ingredients. :) The basic fruit dip is simply made with cream cheese and marshmallow creme. You can take that route if you’d like, but I love to add a little vanilla and a tablespoon or two of cherry juice from a maraschino cherry jar to the dip to give it a little something special. 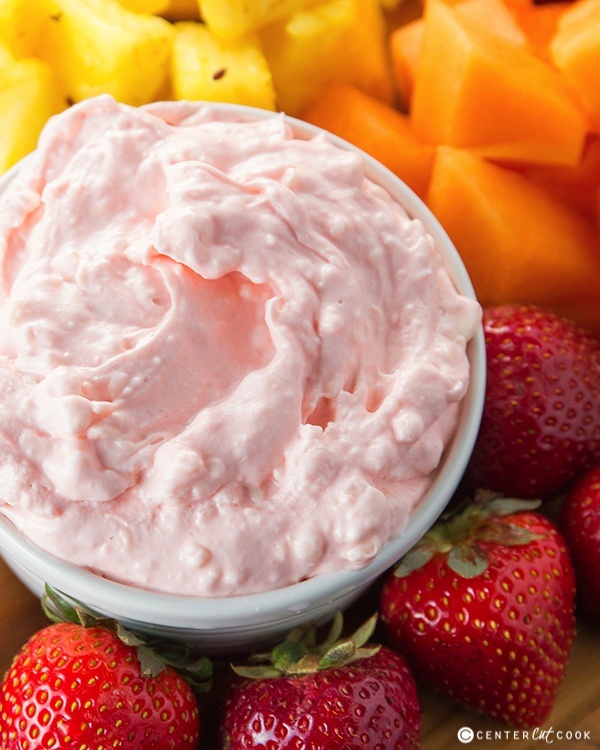 It makes this fruit dip stand out from all of the others! 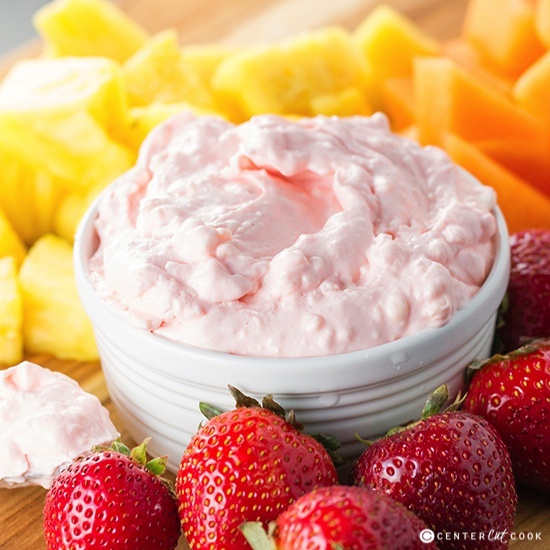 This light and fluffy fruit dip is perfect to serve with any of your favorite fruits. I love it with strawberries, pineapple, grapes, even cantaloupe! I haven’t found a fruit that it doesn’t pair perfectly with, so you can’t go wrong. Enjoy! Use a mixer to combine the cream cheese, marshmallow creme, and vanilla together. Add in a tablespoon or two of cherry juice if you wish. Serve with your favorite fruit.